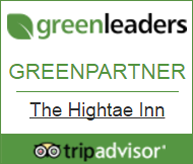 The Hightae Inn is situated in the charming village of Hightae close to the River Annan. Our cosy Restaurant With Rooms offers stylish accommodation as well as good beers, fine wines and great home cooked evening meals. Hightae is just 10 minutes off the A74(M) and approximately 2½ miles from Lochmaben and 4 miles from Lockerbie. Heading North – Leave A74(M) at junction 18, heading for Lockerbie and then onto the A709 signposted for Lochmaben and Dumfries. Heading South – Leave A74(M) at junction 17, heading for Lockerbie and then onto the A709 signposted for Lochmaben and Dumfries. Head out of town on the A709 signposted for Lochmaben. Past the cemetery on the RHS and down the hill. Head over the bridge at the traffic lights – please ignore immediate signpost on Left for Hightae (this is an extremely narrow road and can lead to the occasional Mexican stand-off with a tractor). Instead keep on the A709 for Lochmaben and 200 yards or so after the 30mph sign, turn left at the church onto the B7020 signposted for Hightae/Dalton. Travel approx 2¼ miles along the B7020 (Castle Loch on left) turning left at the sign for Hightae. If you miss this, don’t worry there’s another road into the village slightly further along. Drive down into Hightae and we’re in the centre of the village on the left hand side. Please take care if using a satnav from Dumfries as this has a tendency to take you over an extremely rough, non-tarmac hill road unsuitable for road going vehicles. Head out of town on the A709 signposted for Lockerbie. Drive through Torthorwald and into Lochmaben. Drive through the town and at the end of wide High Street turn right, just after the church (signposted for Hightae/Dalton). Lockerbie has a railway station on the main West Coast line with regular trains from Glasgow and Edinburgh (both 1 hour), Manchester (2 hrs 15 mins), Liverpool (2 hrs 15 mins), Birmingham (3 hrs 45 mins) and London Euston (4 hours).